We are pleased to announce the launch of an empirical study of the relationship between Environmental, Social, Governance (ESG) and financial characteristics in private infrastructure investments. Promoted by the LTIIA, this study, will be based on data from GRESB Infrastructure and EDHEC Infrastructure Institute. 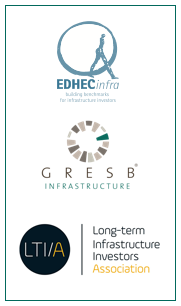 The study is also part of the EDHEC/LTIIA research chair in the investment characteristics of unlisted infrastructure equity investments. It will be published as an EDHEC Infrastructure Institute publication in 2019. See below the full press release.